Whisky is primarily made in Scotland, Ireland, the United States, Japan, and Canada. However, much like the fine wine industry, enterprising distillers are cropping up in all corners of the globe with new artisan whisky products. Some, like the Whisky in a Can from a company in the Caribbean, don’t exactly qualify as ‘fine’. It should be noted, also, that whisky made in hot, humid climates tends to mature very fast, and age statements should be considered accordingly. A 4 year-old bourbon from Kentucky, and a 4 year-old single malt from India might be equivalent in maturity to a 12 year-old Scotch or Irish whiskey. This is not to say that they are necessarily of equivalent quality: many aficionados contend that slow maturation results in a smoother, more nuanced, and higher-quality spirit. I recently sampled my first-ever single malt from the country of India. Amrut Distillers in Bangalore, India, a veteran producer of various spirits and liquors, has become something of a buzzword lately in the whisky world by releasing a series of single malts, distilled and aged in India. See the Distillery box below for details. I sampled the entry-level “Amrut Single Malt”, a no-age-statement unpeated single malt. It’s probably only several years old. Nose: Big grain – cereals of several types. 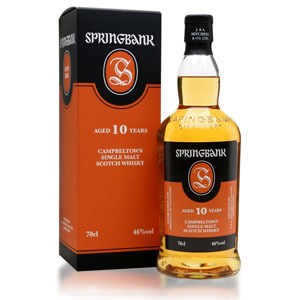 A fading hint of ex-bourbon casks: vanilla and woodiness. Quite a lot of nose prickle. Once it settles in the glass, there is a huge helping of banana trifle. Then there is more banana, banana, and banana. Seriously, it’s all banana. A dash of water brings out some interesting dessert flavors – cinnamon baked apple crumble and cinnamon raisin toast. 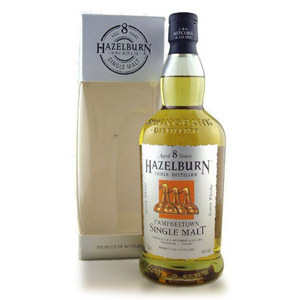 Palate: After a hefty bit of burn, there is a nice blend of tropical fruits – kiwi and green banana, grilled peaches, and barrel char. Finish: Medium, and a little bitter. Of course, there’s banana, and the bitterness seems to come from the oak and barrel char. Overall: Betrays its age with the burn, and its inexperience with the heavy banana notes. 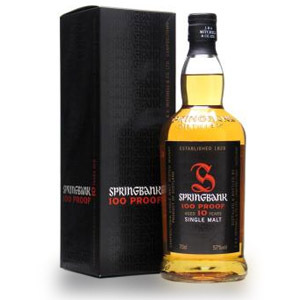 Nevertheless, it’s an impressive dram for an upstart distillery in a challenging climate. I wouldn’t pay more than $30 for it, though, as I’m not partial to banana flavors in my malts. Adding a bit of water doesn’t hurt. Just skimmed your Amrut ‘Peated’ review. I have a bottle of the Amrut Single Malt (opened in July 2010) and I’ve never noticed any banana in the nose, a tiny bit of peat, yes, sort of like a very tame Jura Superstition, but no banana. I’ve even asked my wife, who has a much more sensitive nose, about the banana, and she can’t find it either. I wonder if there is something in the barley or the water source that Amrut uses that comes off as banana? Have other reviewers noticed this? (as a reference, Chip Dykstra over at the Rum Howler Blog doesn’t mention banana in his review). Thoughts? Hi Dan. Typically, banana notes come from aging in ex-bourbon barrels (American oak). The degree to which the note is present depends mostly on the smeller’s perception, and also is probably impacted by factors such as the age of the wood when cut, the bourbon previously contained in it, and so forth. The banana note that I detect in all Amruts might be interpreted by another person as something different. For me, the note is more banana peel than banana flesh, and reminds me specifically of banana peels that have begun to brown and go bad. Most likely, I have a sense memory of one aroma which I associate with that particular chemical, while other people might associate the same chemical with a different memory. My rotting banana peel might be someone else’s “fresh garden soil” or “pina colada” or “furniture polish”. Unfortunately, smell and taste notes are extremely subjective, and account for the wide differential in tasting notes… as well as the wide differential in likes and dislikes. 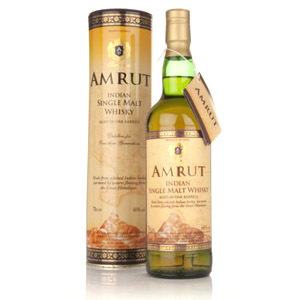 Amrut Single Malt Whisky: I bought a bottle of this and found it to be too hard. Way more burn and not smooth. I will be going back to Glenfiddich Single Malt. Disclaimer: I am from India. I bought this sucker and have been drinking it recently and i really like this profile. A little water and time in the glass and its ready to roll for me. 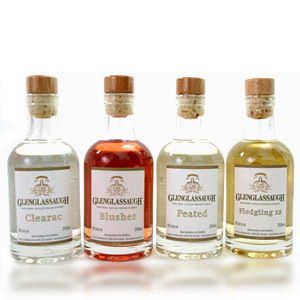 Cant wait to try the fusion and peated varieties, if i can find them. NAS in da house! Bryan, the Fusion is really excellent. By far my favorite Amrut. Have to say, I am a MASSIVE fan of the Fusion and the now unavailable Kad’Ham’Bam but found this extremely unpleasant. A glaring lack of complexity and a horrible, lingering, sour (rather than bitter) aftertaste. I’m looking for Amrut Essence. Where can I find it?